Everybody would like to have a patented recipe for a successful future. WithSYSTEMK4 – our new, worldwide patent pending, cleaning system – we offer you an innovative, and highly efficient cleaning procedure for commercial textile care that is unparalleled. 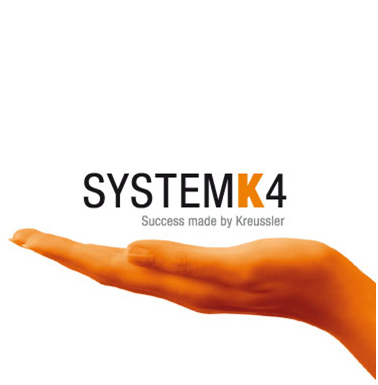 Kreussler is setting new standards with SYSTEMK4. The goal is to change dry-cleaning worldwide in a sustainable and positive manner! In times of increasing government regulation, economic and ecological demands, we have the solution for you and your customers with SOLVONK4. Have a look for yourself on the following pages.